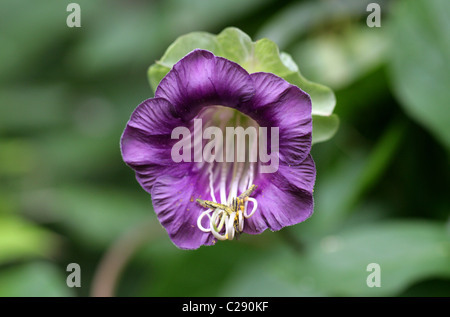 Cathedral Bell Flower, Cobaea scandens, Polemoniaceae. Tropical Americas. Aka Bat Flower, Batflower or Cup and Saucer Vine.